I know this is asking a lot. But we do that at CrossFit. We demand things of ourselves and our bodies that is beyond the norm. Go to the gym, grab a goal sheet and fill it out. (they’re sitting on the desk thanks to Dana and Dale) That’s the first step. Ready for the hard part? Fill out another one and hand it to your favorite coach. They will look it over and give you steps on how to reach your goals. So, here’s my example: ring muscle ups. I will have to do tons and tons of hips to rings and chest to bar pull ups to get the muscle memory and strength to hoist myself over the rings into the dip position and then kip my way up. I know what I have to do and I have the tools and resources to do it. Now, get to work Courtney. Winter time, cold, baby crying, baby nursing, no sleep and just plain tired … I’ll have to train through it all. Most importantly I need to set a good example. I’ve shared my big goal, now I have to achieve it. Watch me. Your turn. 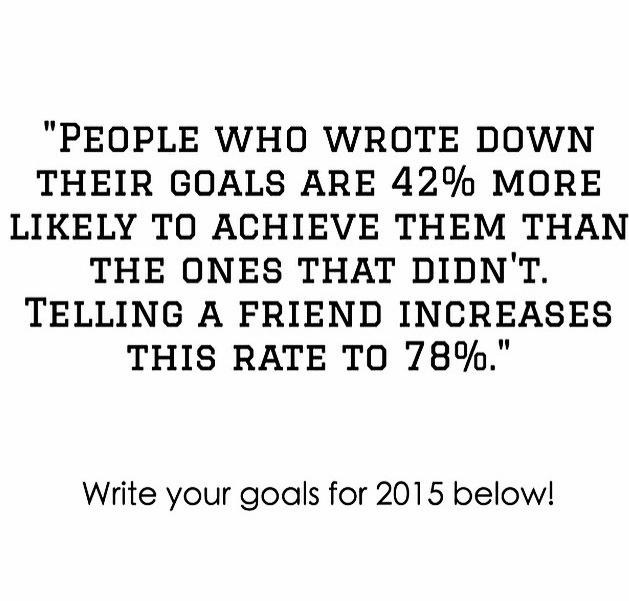 I don’t want to read sheets that say “lose weight” or “get more sleep” … goals should be more specific and measurable. Know Christmas Abbott? She’s a pretty popular CrossFitter and if you have time, watch or listen to this episode of barbell shrugged. I absolutely love what she says in all 5 key things she does to obtain goals. It’s a little long and there are a lot of curse words thrown around in the interview which doesn’t bother me but it may bother you– but it’s so worth the listen. She doesn’t just mention CrossFit related goals but being-better-at-life-goals. Who doesnt need that? HAPPY NEW YEAR! Go prep your meals and get some sleep. We have a lot of work to do. Love ya, mean it.